I have been trying different options since I had a really bad reaction to L'Oreal Preference which I had been using for years (it made me feel physically sick). I like the Olia mix much better, as it does not contain ammonia. I find it easier to use, it sticks beautifully without dripping and does not have that horrible strong smell. After a disappointing result the first time, I now keep it on my hair for a full hour (which is normal for me, I have to do that with other brands as well). My natural hair is now salt-and-pepper, not white enough to look good. With darker shades, Olia does cover the grey but leaves the roots lighter than the rest, which is annoying because otherwise the colour looks quite natural. A word of warning: during processing, the mixture takes on an alarming carrot / pink / orange hue, which disappears upon rinsing. So don't be scared if you see that. The gloves are thin but adequate for one-time use and easy to put on and remove. The creams are easy to mix but I find the tubes very slippery and difficult to squeeze. The conditioner is one of the better ones and there is enough for multiple applications. What I really dislike is the shape of the mixing container. It's difficult to hold and to get the last third of the mix, I have to open it and dip my hair inside it. As with others, there is not enough mixture to cover all my shoulder-length hair. I really think these products should come in short-hair and long-hair versions. I would pay an extra couple of pounds for the larger bottle, but refuse to use two at a time. This shade 5.5 Mahogany Brown tends to purply-red. If you are looking for that quirky, lively accent, it's a good option. I'm still giving it five stars because, although not perfect, it's my favourite hair colour at the moment. After lightening a bit during an initial settling period, the colour stays true and my hair really loves the oily formula, it makes is shiny and very soft. This shade 6.3 Golden Light Brown is very close to my original natural colour. I was very pleased with the way it harmonized with my skin tone. In winter my face pales considerably and with too-dark hair, it tends to look tired and washed out. If I go too light blonde, it looks dull and boring, so getting the shade just right is important. If you are looking for a very natural, soft colour that flatters most complexions, this is a good option. 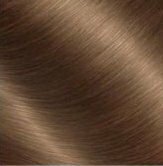 This shade 6.9 Bronze is a beautiful soft light brown that really suits my skin tone. If you are looking for a very natural light brunette shade that flatters most complexions, this is a good option. This shade 8.31 Golden Ash Blonde is probably the best blonde option for me at the moment. Neither reddish nor greenish tendencies, it's a pleasant, natural blonde, with nice reflexes and a bit more substance than the lighter shades. It looked good immediately with no need for a settling period. This shade 9.0 Light Blonde is a little lighter than my natural colour but it goes well with my skin tone. It's a very natural real blonde, with nice reflexes and no red at all and, for a change, it looked great immediately without a settling period. This shade 9.3 Golden Light Blonde was a step too far for me. I can't quite remember why I bought it, but it seemed like a good idea at the time. It successfully lightened the pepper in my hair, but did not have enough pigment to deal with the salt. It left me looking bleached out to a platinum shade that requires a good-going tan to contrast it.